The Return Of 4DOS ! When it comes to computers at home, I guess I grew up in just the right age and time. I did my first programming on an Apple II, owned by some friend’s father, and after that won my spurs on Commodores (64 and 16). 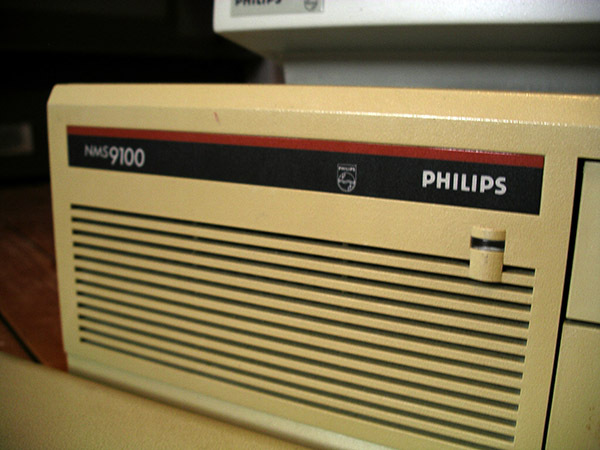 But it was when I bought my first PC, a then state of the art Philips 286AT, when I really got cooking. Despite totally bricking it within the first five minutes of getting my hands on it, but that’s another story. Way back then, MS-DOS was the way to go, only using Windows 3.x after it became available when there really was no way around it. I knew all the WordPerfect keyboard shortcuts by heart, and spend days (and nights) on end playing games like Wolfenstein 3D and Dune II. Happy, uncomplicated PC days! And then there was 4DOS, the MS-DOS shell alternative that separated the boys from the men. 4DOS was what MS-DOS had never become, with enhanced batch scripting and coloured directory listing. The release of Windows 95 changed everything. Sometimes reluctantly, for others happily, the DOS world knew their time was up. Gone was the command line, goodbye 4DOS. Even WordPerfect bowed out after a while, and with newer games appearing the old favourites like Wolfenstein and Dune were forgotten. But not quite. Maybe I’m growing sentimental, yearning back to the days of VGA and fun games fitting on a floppy disk or two. Now, DOSBox (www.dosbox.com) is no stranger to many of us. Simply put, it’s like a virtual machine, an x86 DOS machine emulator, tailored to running the DOS games of yore, but still very configurable and easy to use. Playing around with DOSBox my mind wandered back a good 20 years (has it been that long? Geez…) and I remembered 4DOS. Whatever happened to 4DOS anyway? Turns out, it’s very much alive! It has evolved into TCC/LE (jpsoft.com/tccle-cmd-replacement.html) as the perfect replacement for the command prompt cmd.exe in Windows. Recently I have started using TCC/LE as the default command prompt on my 64bit Windows 8 laptop, flawlessly. Have a look at TCC/LE, if you ever use the command prompt in Windows you won’t regret. It’s 4DOS for the 21st century, on steroids. Not only that, but the old 4DOS is also still very much alive and kicking! The latest releases are in the public domain now, and have constantly been in development. You can get version 8.00 here: www.4dos.info/sources.htm, go for the binaries. Then go through the documentation or just Google to find out its benefits and configuration. Putting one and one together, my next thought was: “Can I replace the common DOS shell in DOSBox with 4DOS?”. After some fiddling and trying I found I could, no sweat. In fact, the 4DOS screen print shown above is in fact 4DOS as the default shell in DOSBox! For a middle-aged IT guy with fond memories of the eighties, how sweet is that?!? Want to know how? Then check my next post, coming soon.